Seu Jorge as Pelé dos Santos in The Life Aquatic with Steve Zissou. When Devo released their first album in 1977, the press would ask them about their influences. David Bowie was their go-to answer. “He started this,” they’d say. Indeed, Bowie’s impact on modern music is staggering. Even his output in later years remained incredible. Last year when he passed away, there were many tribute concerts. It was touching, but there’s something disappointing about hearing someone else perform one of Bowie’s songs. 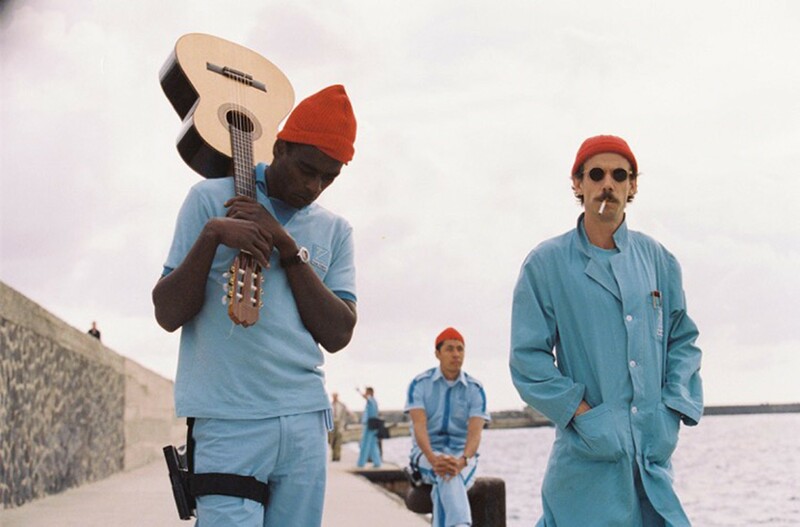 There’s one exception: Brazilian singer Seu Jorge, who recorded gorgeous acoustic renditions of Bowie classics in 2005 for Wes Anderson’s bizarre quasi-tribute to Jacques Cousteau, The Life Aquatic with Steve Zissou. The film isn’t ranked as high as some of Anderson’s other work with most fans but Jorge’s music is phenomenal. Jorge will be playing his renditions, which are so completely different from Bowie’s originals — delivered in a low-key, subtly soulful voice, and in Portuguese — this Saturday at the Fox. Saturday, June 24, 8pm, $45-$65, 1807 Telegraph Avenue, Oakland, SeuJorge.com.